New players only. 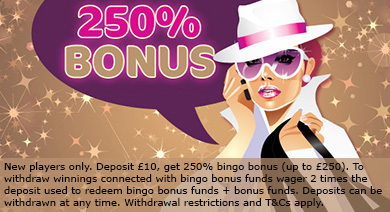 Deposit min £10, get 250% bingo bonus (max bonus £250). 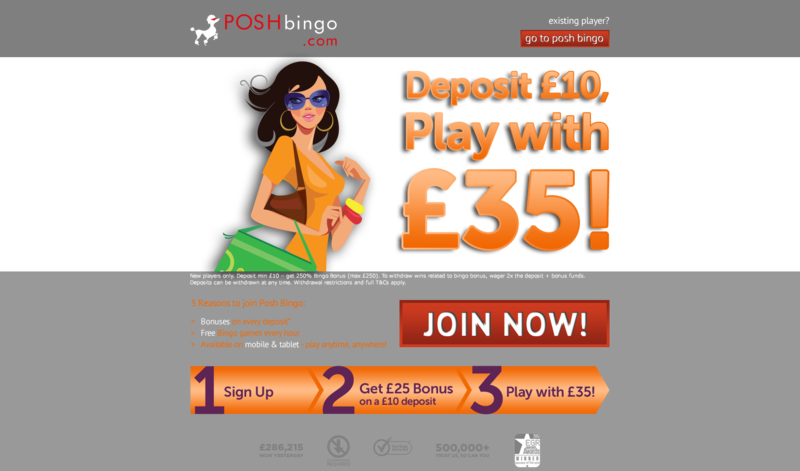 To withdraw bingo bonus & related winnings, wager 2x the amount of deposit + bonus funds. Deposit balance can be withdrawn at any time. Withdrawal restrictions & Further T&Cs apply.